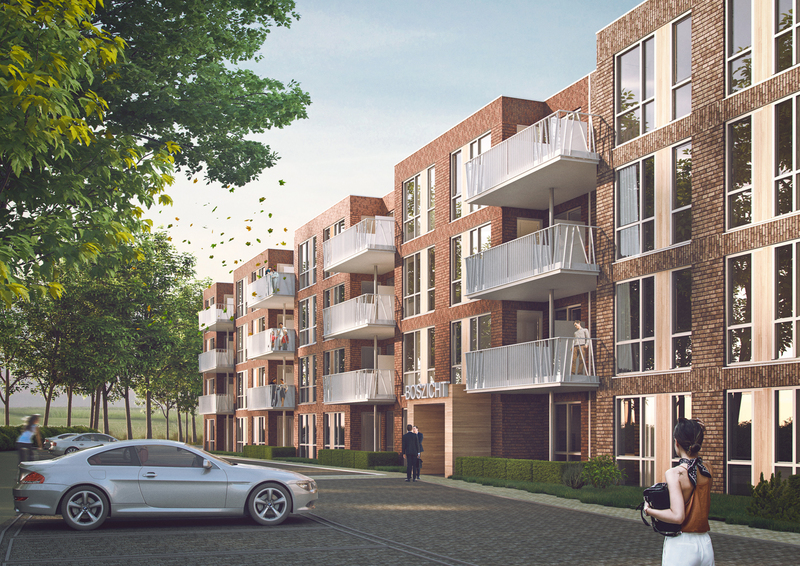 Borghese Real Estate sold phase 1 of the De Hanzen new development project in Harderwijk. Phase 1 of the new development consists of 63 free sector rental apartments. The buyer is Vaster Invest. Capital Value guided Borghese Real Estate in the transaction. De Hanzen is being realized at the location of the former Harders Plaza on the Knardijk. The project, in collaboration with the municipality of Harderwijk, was designed by Mies Architectuur from Ede and is realized by Klompenburg Bouw from Nunspeet. Phase 1 of the project consists of 63 apartments with an average floor area of ​​approximately 72 m² GBO and a separate storage room in the basement. The apartments are built sustainably with an EPC of 0.26 and an FSC certificate. In addition, at the request of Vaster Invest, a meeting space will be created in the building to promote the interaction between the residents. In addition to the 63 apartments that have been sold, De Hanzen consists of 45 apartments (phase 2) and a modern retail complex with a contemporary look that borders the apartments. These will be realized at a later time and do not belong to this transaction. The construction of phase 1 has already started and is expected to be delivered in the first quarter of 2020.